It is a wonderful footpath that starts from the built-up area of Paraggi, passes through a strip of varied wood, prevalently made of holm-oaks, and proceeds not far from the national road which connects Santa Margherita Ligure to Portofino. Along the way there are some detours. One of these, above the beautiful inlet of Niasca, allows to reach the Hermitage of San Antonio, a building dating back to the thirtheenth century enlarged and renovated during the ninetheenth century and still today under repair. After crossing the main road, the downhill detour consents to get the small sandy beach of Niasca, a natural treasure with the colours of the most famous tropical beaches. The principal way continues among outcropping conglomerate rocks, trees and shrubs of the Mediterranean maquis. At the end of a short downhill, an asphalted uphill road leads to the Hotel Splendido, and brings to the final way to Portofino. This itinerary is very charming, both during the day and in the evening. 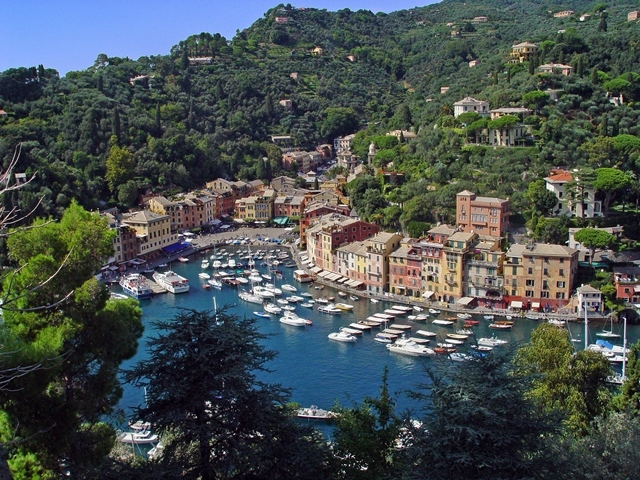 Arrived to Portofino, the footpath stops the church of Divo Martino, the main church of the village.